The Abarth version.In Europe only, at least for now. Turin, 1957. 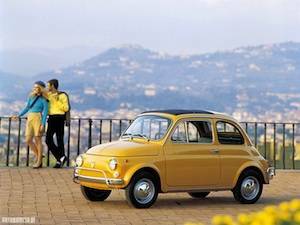 This is where and when the history of one of the most iconic Italian products began: the Fiat 500. What can be described as one of the first city cars was born in response to the demand for an economic vehicle in the years after WWII. Over the time it has become an Italian design icon, a symbol of the Dolce Vita and of the Italian lifestyle that can be summarized with the adjectives “fashionable” and “practical”. Production of the old 500 was discontinued in 1975, and since then fans have been begging to see it reborn. Their hopes were fulfilled in 2007. After more than 30 years, Fiat gave the public an updated version of its timeless instant classic. The new 500 was created to be true to its origins while simultaneously upgraded with all the tech gizmos we are used to seeing in higher end vehicles. It is a compact, fuel efficient car that behaves equally well in cramped city streets and during a carefree ride through the countryside, stylish enough to have heads turning no matter where it is used. 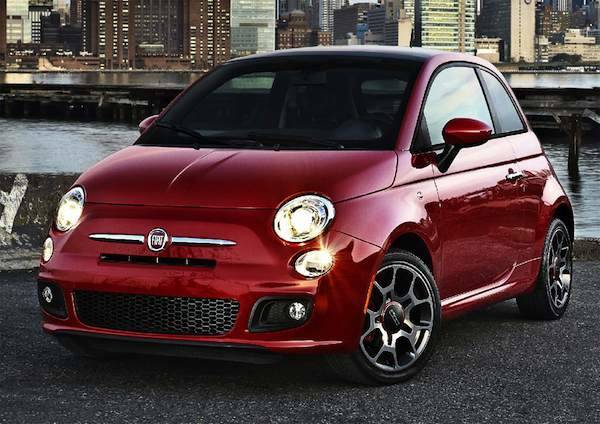 The new 500 was part of the rebirth of the Fiat brand. Burdened with disputable products and a worrying financial situation, FIAT went through a tough time during the 1990s, but the group from Turin is now well out of the woods – also thanks to the European success of the new 500 – so much that it acquired the bankrupted American giant Chrysler. Through the purchase of Chrysler, Fiat got access to a capillary American distribution network, and this allowed the Italian producer to bring its products back to the States, a market it has been absent from for decades. Of course when it came to choose which car to use to spearhead the USA, it was a pretty straightforward decision: as of 2011 the new 500 will be available to American buyers. The car will be available in three versions, all of them powered by a 1.4L 16v engine: the basic POP ($15'500), the more aggressive SPORT ($17'500), and the top of the line LOUNGE ($19'500). Initially it will be available only with manual gear shift. 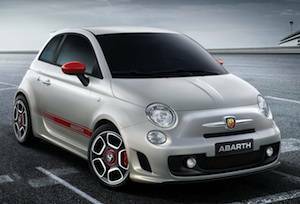 Those who cannot drive stick will have to wait for the automatic version, later this year, and hopefully, further on, the aggressive version modified by Abarth will hit the American roads as well. In Europe FIAT used a very unconventional marketing strategy, some examples are the FIAT 500 shaped, 1 mt long vases that appeared in the shopping Mecca of Via Montenapoleone in Milan; or the FIAT Playa beach club, in Sardinia, which opened in 2007 and quickly became one of the most fashionable clubs of the Emerald Coast. It would not be a surprise if, in order to captivate the American public, the marketing campaign in the States were equally creative to bring the potential buyer to a world of Italian design and lifestyle. The only certainties, as of now, are the fact that cars will be sold at Fiat Studios, which will sport contemporary art on the walls and espresso bars, and which will of course not be run by salesmen, but rather by Fiat Specialists. Considering that the American Fiat 500 fan club has already booked the entire first batch of 500s (which is made of sequentially numbered limited edition 500 units), it seems that the 500 is well on its way to success, also considering the results it had in other countries. 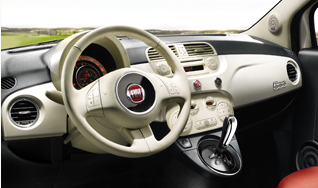 In England, for example, 2011 is the third consecutive year the small Italian car wins the title “City Car of the Year” in the BusinessCar Awards. Probably Americans will not go to such extreme lengths as the Chinese millionaire who had his new 500 personalized with many perks (including gold flakes paint) pricing his city car at roughly $700'000, but it is safe to say that the States are about to fall in love with a new Italian icon.